Why Would You Want a Black 6 Mouse That Isn't Black? Taconic Biosciences introduced two new B6 albino models in late 2012 and early 2013. The B6 Albino A++ (model 11227) and the B6 Albino (model 11971) were generated at Taconic’s Cologne, Germany, site via gene targeting technology. These models represent the first albino B6 models available on the C57BL/6NTac (Taconic B6) background. We all know that the B6 strain is black…so why would you want an albino B6? 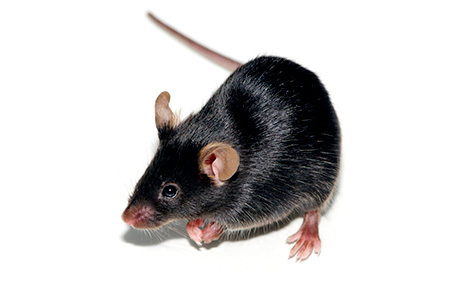 B6 mice were developed in 1921 by C. C. Little, the founder of the Jackson Laboratory, by matings between mouse 57 and mouse 52 from Miss Abbie Lathrop’s stock. Originally designated C57BL, several substrains were developed, of which the C57BL/6 is the most popular. For example, C57BL/6 and C57BL/10 are both substrains of the original C57BL, and they were separated some time before 1937. As one of the oldest inbred strains of mice, much of the popularity of C57BL/6 may be attributed to historical accident. As one of the first inbred strains available, it became used for a variety of research and in many publications. Choice of model for new studies was influenced by the existing historical publication record using C57BL/6 and over time, the Black 6 became the norm. Beyond that, the B6 is prone to obesity when fed a high fat diet, will willingly drink alcohol, is sensitive to pain and is susceptible to certain types of addiction. 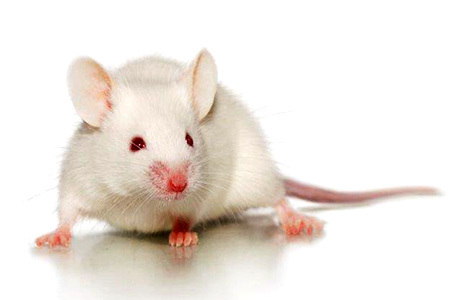 Applications in which the B6 mouse is used include oncology, immunology, metabolic disease, addiction, neurology/neurodegeneration/aging and toxicology. So why exactly would you want an albino Black 6 mouse? The primarily application for an albino B6 is for use in the process of generating new genetically engineered models (GEMs) on the widely used B6 background. To make a new GEM, a mutation is engineered into an embryonic stem cell (ES cell) derived from the background of choice, in this case B6. The ES cells are not capable of developing into an embryo and thus into a mouse on their own. They must be injected into a normal mouse embryo of the blastocyst stage. This embryo is implanted into a pseudopregnant foster mother, and the ES cells are incorporated into the developing embryo to generate a pup that has contributions from both the ES cells and the host blastocyst. Figure 1: A mutation is made in ES cells, the cells are cultured and then microinjected into host blastocysts. The embryos are implanted into a foster mother and chimeric pups are born. A chimera has the mutation of interest in only some cells of its body, which is not sufficient for research use. In order to make a new GEM, typically many chimeric pups are generated, and then a few of the best chimeras are bred to wild type mice of the same background strain as the ES cell in order to get mice that transmit the mutation through their germline (to their pups). If germline transmission occurs, the pups produced will have the mutation in all cells of their body, not just some cells. In order to pick which are the best chimeras to breed, there must be some way to judge quality of the chimera. Good chimeras have a high contribution of cells from the ES cell line. If the host blastocyst and the ES cell line both come from the same background (for example, both are B6), the chimeric pups will be completely black. If the host blastocyst and the ES cells come from strains which have different coat colors, the chimeras will be a mixture of the two coat colors, and good quality chimeras can be judged visually just by assessing what percentage of the ES cell coat color is represented on the mouse. 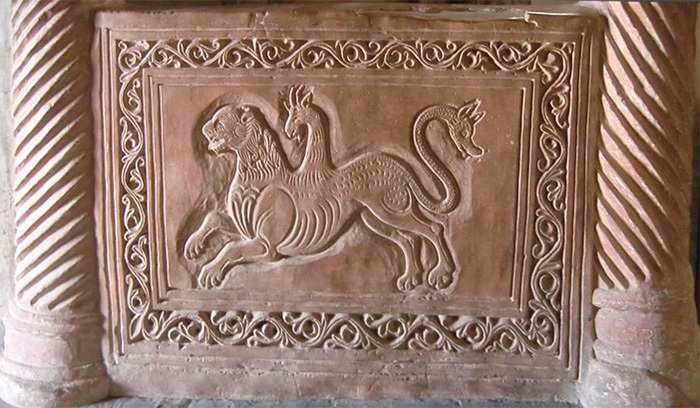 Figure 2: Carving of a mythological chimera on the San Pietro al Monte church in Civate, Italy. Licensed for use under Creative Commons license by Laurom. This need for a blastocyst donor with a different coat color from that of B6-derived ES cells is what led to the use of albino B6 mice as blastocyst donors in this process. There are certainly other naturally occurring albino strains that could be used as blastocyst donors such as BALB/c, but they have some disadvantages such as poor embryo production. B6 mice are known to superovulate well and produce high embryo yields. The Taconic B6 Albino A++ is an ideal host blastocyst strain for use with ES cells derived from B6. It actually carries two coat color mutations, a mutation in the Tyrosinase gene which introduces albinism, as well as a reversion of the non-agouti allele found in regular B6 mice to the agouti allele. The combination of these two mutations makes the germline breeding process much easier compared to competing models. In addition, the presence of the two mutations actually makes for a more colorful chimeric mouse compared to traditional methods. Figure 3: Chimeric mice generated using B6 ES cells and B6 Albino A++ blastocysts. The contribution from the ES cells is higher in the mouse on the left, and the contribution from the blastocyst donor is higher in the mouse on the right as judged visually by coat color. Cells in the chimeric mouse derived from the B6 ES cells would typically show up as black. But cells derived from the B6 Albino A++ blastocysts produce the agouti signaling peptide, which is what causes agouti coloration (yellow banding on a dark hair). The agouti signaling peptide can travel from cell to cell, so in this case it can create agouti coloration in cells derived from the B6 ES cells. So the chimeras appear white (from the blastocyst donor), black (from the ES cells) and brownish (also from the ES cells, with the black coat color modified to produce agouti banding by the agouti signaling peptide).